IRELAND: The wind industry hopes that this year will see significant progress in grid upgrades and connectivity, which have been two of the main problems facing the industry. Currently, Ireland's limited grid capacity and domestic demand are insufficient to absorb large amounts of wind energy, which has led to curtailment when there is too much wind energy on the Irish grid. The Single Electricity Market Committee (SEMC) — combining the Republic of Ireland and Northern Irish markets — last year proposed that curtailment will operate on a pro-rata basis instead of protecting older, established projects at the expense of new wind farms and those that have yet to be granted "firm" grid access. Developers had argued that this would render many new projects unviable. While welcoming this decision, the Irish Wind Energy Association (IWEA) strongly opposes another proposal to reduce or remove compensation to generators for curtailment. It claimed such a move would be very damaging to investors and "undermine any confidence in a stable policy". To stop curtailment in the first place, considerable effort is being made to export electricity generated by wind in Ireland to the UK, and eventually to the rest of mainland Europe. In September, an interconnector to Britain was completed allowing 500MW of electricity to flow between the two countries. Furthermore the "all-island grid" brings together the grids of the Republic of Ireland and British-governed Northern Ireland. In the same month, developer Mainstream Renewable Power signed a memorandum of understanding (MoU) with Portugal's transmission operator REN to develop a 5GW transmission line between the UK and Ireland. The MoU covers the pre-feasibility study, financing, construction and operations of the line, which will export wind energy from the Irish midlands to the UK from 2017. Other companies involved in the project include grid operator National Grid. In January, a separate MoU was signed by ministers from the UK and Ireland, signalling the potential opportunity to export gigawatts of green energy from Ireland to Britain. This MoU will trigger detailed analysis of how Irish renewable energy resources, both onshore and offshore, might be developed to the mutual benefit of Ireland and the United Kingdom. The next stage would be to develop an inter-governmental agreement for signing in 2014. Potential projects would be selected through a competitive process and start exporting wind energy from Ireland to the UK by 2020. Furthermore, the Republic of Ireland has committed to increase the share of renewable energy in its electricity consumption to 40% by 2020. To meet this target, IWEA estimates Ireland will need to build around 275MW of capacity each year from now to 2020. IWEA predicts that Ireland will build between 180-230MW onshore in 2013, including four sub-35MW projects at Knockacummer, Leitir Gungaid, Monaincha and Knocknagoum in the South West of the country. 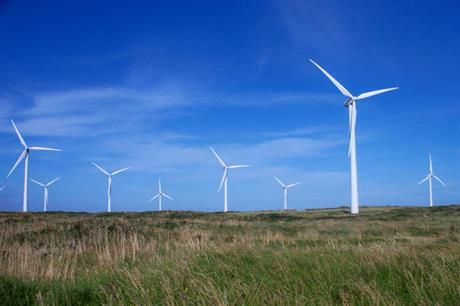 Ireland added 107MW onshore wind last year to bring the total to 1,713MW. Offshore capacity remains at 25MW.